Come have a fun day and operate on Amateur Radio, and eat strawberries as well. The festival is a celebration to promote the community and feature the strawberry harvest. 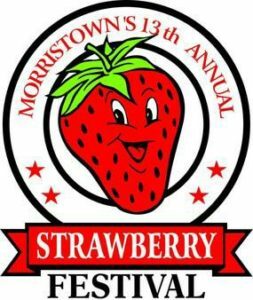 We cordially invite you to join us for the 13th Annual WCRK/WMTN Morristown Strawberry Festival, to be held May 20, 2017. This is a FREE, family-oriented event during which non-profit groups and churches raise funds. There are vendors selling arts, crafts plus businesses from Morristown and the surrounding area. If you are interested in vendor space, you can contact Stephanie Hardy at stephanie@wcrk.com, or call 423-586-9101 option 0. We look forward to seeing you at this year’s festival, where we promise you will have a BERRY good time!